At an evening award ceremony on October 17, Alhambra Preservation Group will present its 2013 Heritage Home Awards to the owners of four distinguished Alhambra homes. The event will take place at 7:00 p.m. at the Civic Center Library, 101 South First Street and is free to the public. All are welcome to attend. Light refreshments will be served and ample free parking is available in the library’s underground parking structure. The 2013 Heritage Home Awards will mark the fifth year of this program, which recognizes homeowners who have restored or maintained their older, historic homes in a manner that is sensitive to their architectural period and style and that recognizes the value of these properties to the community at large. 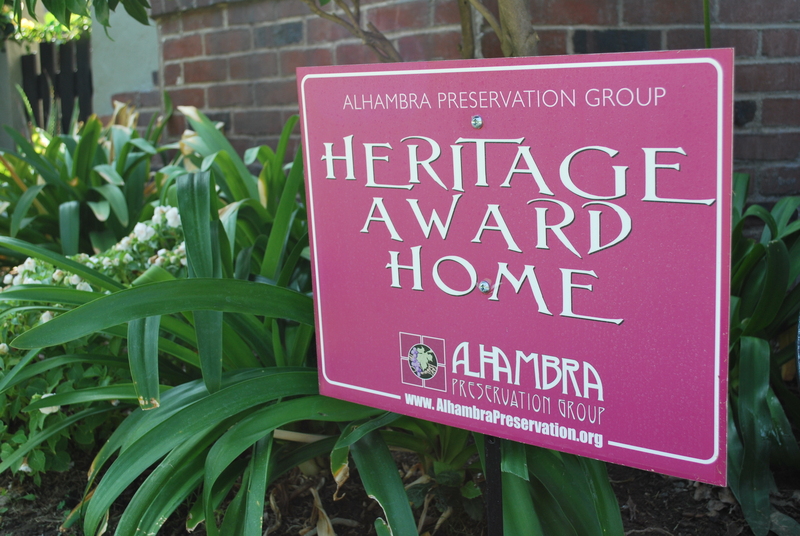 Alhambra Preservation Group was founded in 2003 by residents eager to promote and protect Alhambra’s rich and historic architectural heritage. To learn more about APG or this upcoming event, please follow us on Facebook or call (626) 755-3467.